I am so excited to have finished this project! 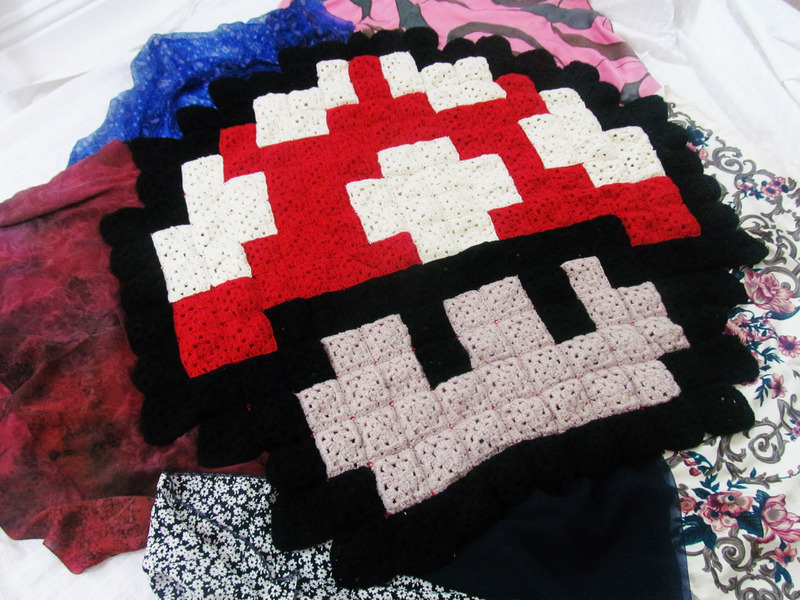 Sometime in summer I read this post by love elycia about her Mario Mushroom blanket. My little brother is seriously obsessed with everything Nintendo so I knew I wanted to make one for him. It started out as a birthday gift but it had to become a Christmas gift because it was taking me such a long time. Three months later and it’s ready! 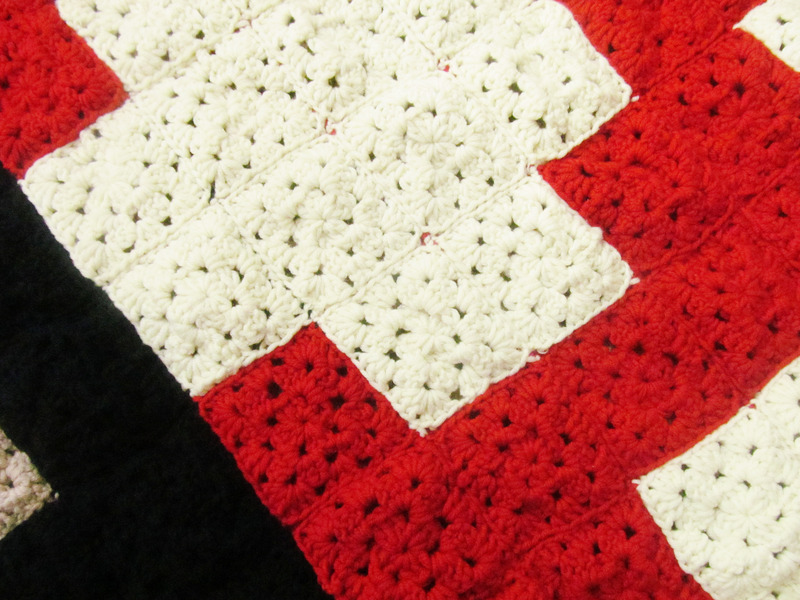 When planning out this blanket I only left myself a couple of days to sew the squares together. It turns out the granny squares take just as long to be sewn together than they take to be crocheted. Before I made this blanket I had never crocheted before. I’m very much a dive-in-at-the-deep end kind of girl when it comes to crafts. 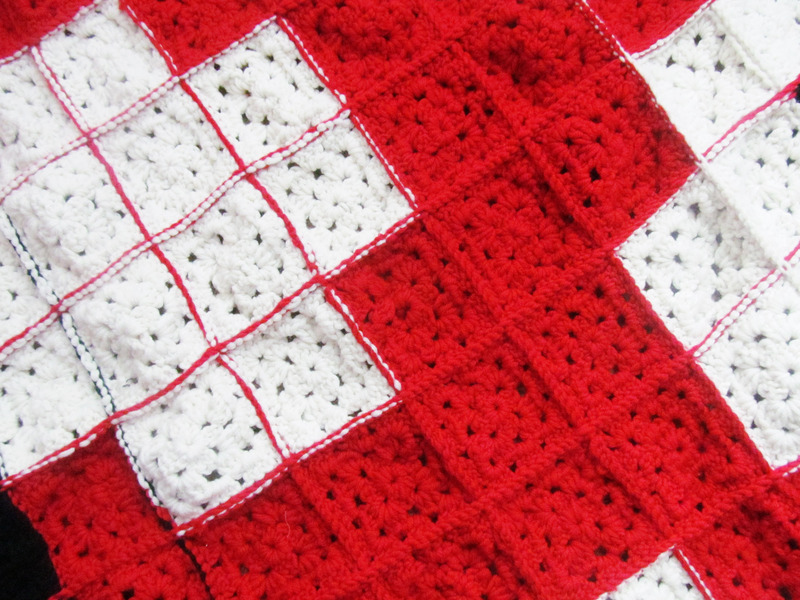 I learnt how to crochet a granny square using this lovely Youtube channel and I learnt how to crochet the squares together using this blog post. My first granny square took me between four and five hours but once I got the hang of it they took around twenty minutes. 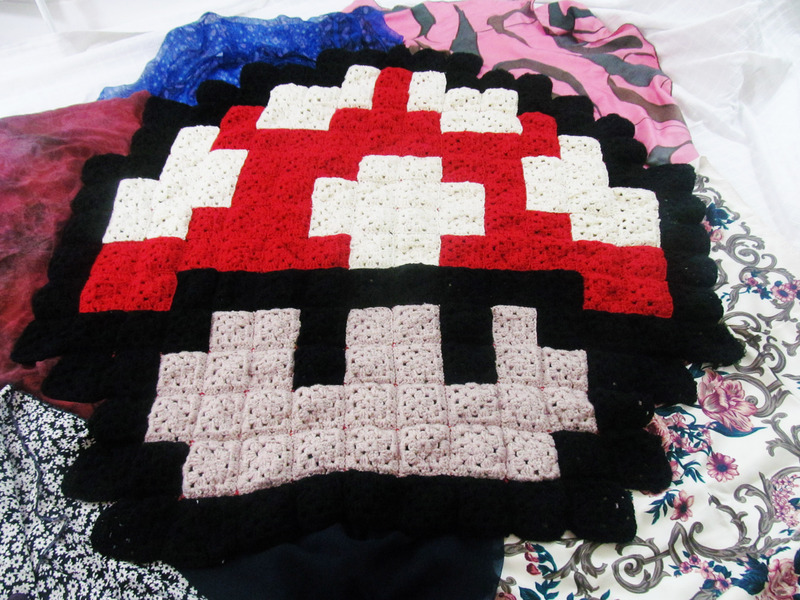 There’s close to two hundred granny squares in this blanket though, so it still took me a long time! Crocheting is a craft I’ve really enjoyed. It’s nice to come home after work, watch some tv and get crocheting. It’s like being lazy and productive at the same time! I’ve also been taking my granny squares on train journeys with me, which has been lovely when I don’t feel like reading. I’m so pleased with how this blanket turned out and I think my brother is too (if you’re reading, it’s on its way!) And I learnt a new skill. Crochet socks and a granny stripe blanket are next on my crochet list! Have you ever crocheted anything? 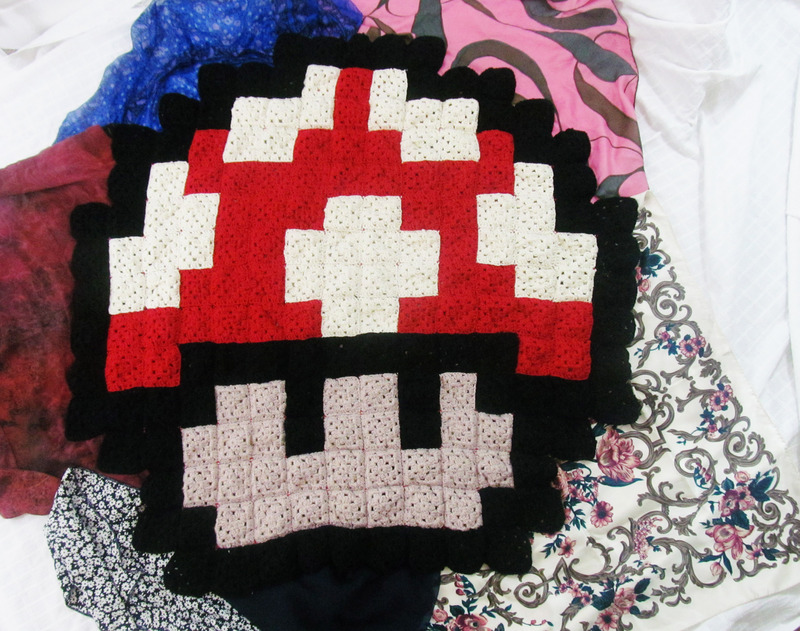 This is an amazing 1st crochet project! WOW!!! Have crocheted for donkey’s years, but never did a blanket or granny squares – lots of cotton bath rugs, scarves & shawls, as shown occasionally on me blog. You did sooo good ~ CONGRATS!!! Wow. What a cute blanket. You are so creative. I love it.